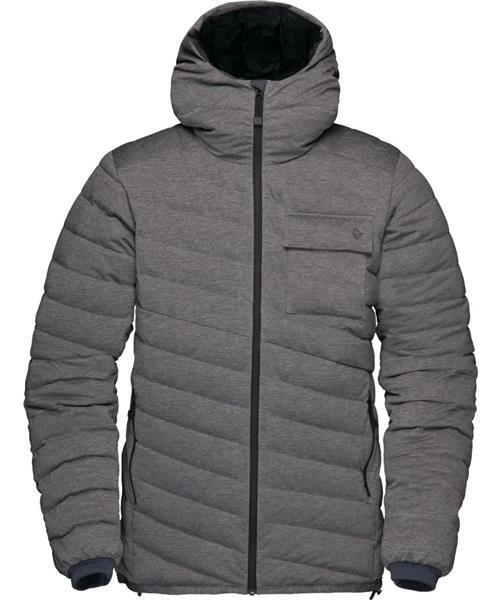 The tamok lightweight down750 Jacket is a military inspired down jacket developed for freeriding in the backcountry. It has a toned down and minimalistic design and can be worn both as an insulation piece or as a stand alone outer armor. Light and soft, yet durable and strong, this RDS certified recycled down jacket packs down easily into your daypack as an essential part of your everyday on- or off-mountain battle kit. The unique knit constructed face fabric is laminated and provides great water repellency and gives it a raw and sophisticated look. Practical features include hand warmer pockets, a neat chest pocket, a weather protective hood with room for helmet and a packable pocket for easy storage in the pack.